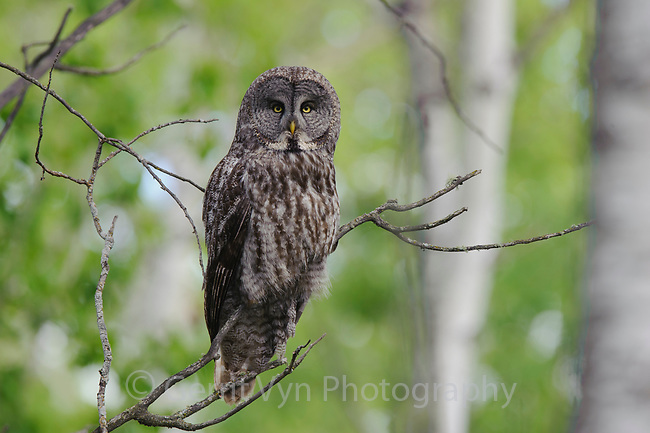 Adult Great Gray Owl (Strix nebulosa). This species is dimensionally North America's largest owl but is not as heavy or as fierce of a predator as the Great Horned or Snowy Owl. It feed almost entirely on voles and pocket gophers. Alberta, Canada. June.